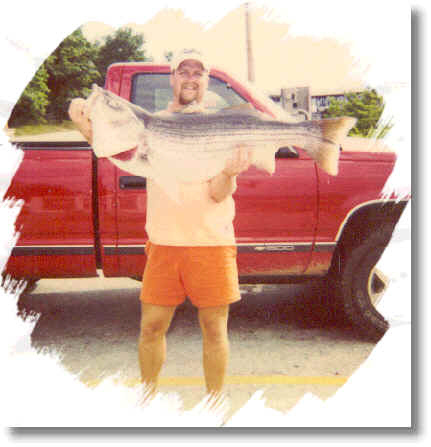 Beaver Lake is rated as one of the top trophy striper lakes in the country, and is one of the many beauties of the Ozarks. Bring food & beverage of your choice on board. Allow for weather changes; warm clothes, rain suit, etc. We promote catch & release but can provide cleaning. 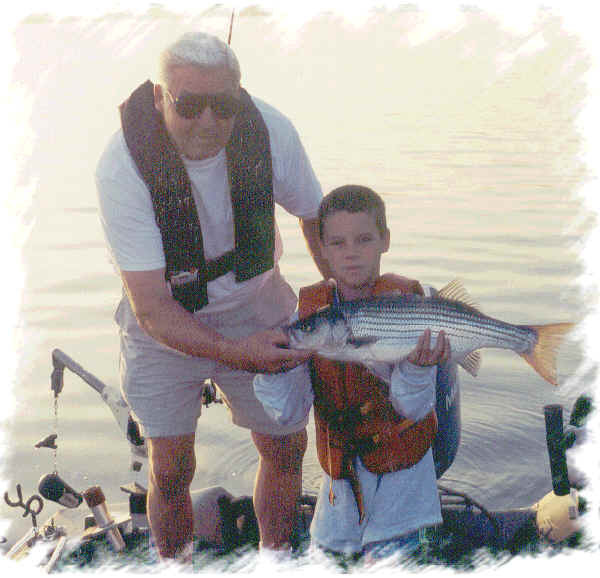 We specialize in artificial bait, using live bait only when we feel it will give us an advantage. this 40 lb. trophy striper for guide Brent Tillery. 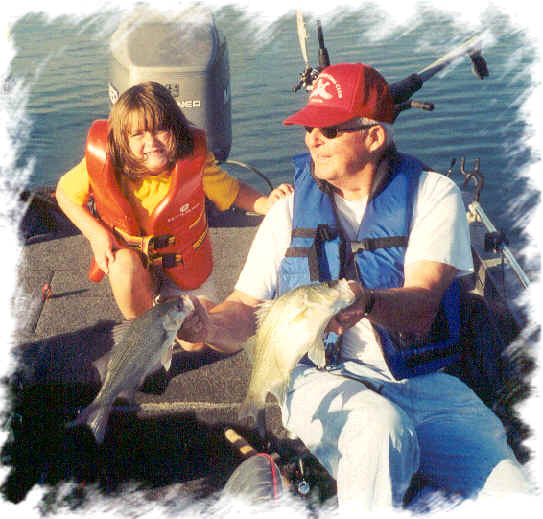 Remember to take a kid fishin' and get 'em hooked for life!